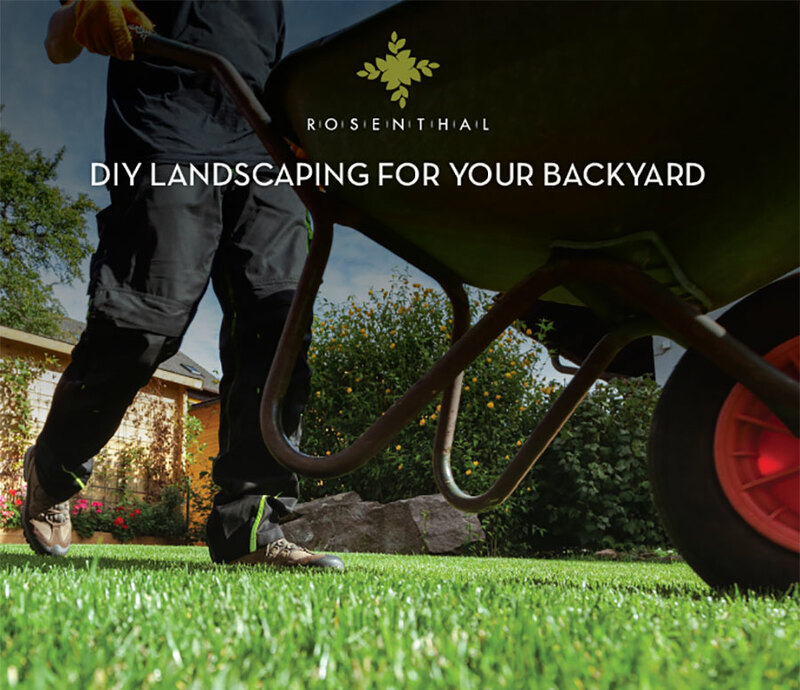 Thanks to reality television and the multitude of home improvements programs, DIY landscaping just doesn't seem as daunting anymore, check out these ideas to get you started. The best advice when planning your new home is to make sure you have some budget set aside to add the finishing touches, such as window coverings, a letterbox, clothesline and of course some backyard beautifying. But the reality is, most new homeowners will need to harness their inner creativity and get moving with some do-it-yourself landscaping in order to make it happen. Thanks to reality television and the multitude of home improvements programs, it is easier to get started than you think. Add in the resource of your local hardware and plant nursery and you are all set. But where to start? Here are a few ideas that most DIYers can have a go at, maybe with the help of some friends and family! Inside-out living is no longer a trend but a way of life. Outdoor rooms, where you can entertain all year round, can extend living spaces and create options for integrated lifestyles. Decking is essential for the true outdoor room, and it while may seem daunting at first, with a little assistance you can get started for a great result. You can opt for the traditional varieties of decking timber, or for a little more investment, the many composite products available can be easier to install and offer a maintenance-free solution. There's nothing more iconic to a new home than setting up your own vegetable garden. Raised garden beds using treated pine sleepers, can create great features in your backyard. Or for those with a little more ambition, creating garden beds with incorporated seating can take your garden design one step further. Ideal for fencing at the laundry door, vertical gardens are perfect for your culinary herbs and can be very easy to set up with complete kits available to purchase at most nurseries. Whether you have ideas to create a pathway feature through your yard, or perhaps need a practical solution to access the clothesline from the laundry, laying your own paving is definitely something for the DIYer to tackle. For solid paving, you may need to hire some compacting equipment and get advice from your local hardware. Or, opt for a more rustic look and lay pavers spaced apart with lawn, ground covering plants or pebbles in between. For the latest in landscaping ideas for your new home, drop into the display homes at Rosenthal and be inspired!